Gov. Rendell, who appointed Cawley, said in his budget address he favors a phase in if electric rates were projected to be 25 percent or more. 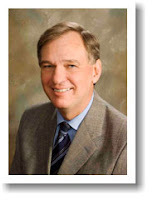 Acting Department of Environmental Protection Secretary John Hanger repeated that position to both the House and Senate Appropriations Committees this week. Chairman Cawley said extending the existing rate caps, which have been in place since 1997 would be illegal, according to a recent U.S. Supreme Court case involving a utility company in North Carolina. In addition, Cawley said consumers need appropriate price signals to encourage energy conservation. He said there is no incentive to save energy if unless there is a competitive market for electricity. Chairman Cawley noted the PUC has already approved phase-in plans for several electric companies requiring them to stagger purchases of electricity over time so there will hopefully not be a significant spike in rates. A study released by the PUC in January shows the price for electricity has dropped significantly over the last year due to lower natural gas and coal prices. If there was a competitive market for electricity now, rate increases would vary from only a 1 percent increase in the PECO service area to 37 percent in the Met Ed territory. Chairman Cawley said one key to making a competitive market work is educating consumers on the fact they do have a choice and there might be a supplier with a lower price available. Time To Bargain Over Natural Gas? Department of Agriculture Secretary Dennis Wolff this week told Senate and House Appropriations Committees he is expecting $34 million in help installing farm conservation practices as a result of funding from the federal Farm Bill. He said Farm Bill funding was for installing conservation practices in farms, including a special program for the Chesapeake Bay Watershed, and for technical assistance to help farmers select and design those practices. Secretary Wolff's written testimony is available online. Democratic and Republican members of the Committee expressed significant concerns about the proposed 17 percent cut in funding proposed in Gov. Rendell's 2009-10 budget. Eleven of the 28 line items in the agency's budget were zeroed out. Secretary Wolff acknowledge the difficult budget decisions he had to make, but said he was proud of the fact his agency has created programs copied by his peers across the country. -- Conservation Districts: Agriculture praised the work of conservation districts in helping farmers, despite the $500,000 cut in district funding in his budget (a total of $1 million or 25 percent cut in the overall budget). -- Cooperative Extension: Agriculture said they would urge funding be restored to the Cooperative Extension Service in Penn State's block grant. -- Farmland Preservation: It was noted by Committee members the Department of Agriculture was not receiving the 14.8 percent of the Environmental Stewardship Fund earmarked for farmland preservation. Department of Conservation and Natural Resources Secretary Michael DiBerardinis told the House Appropriations Committee today not to expect another windfall from leasing state forest lands for drilling Marcellus Shale natural gas wells. Appearing with the Secretary at the House heairng were Linda McKenna Boxx, president of the Allegheny Trail Alliance and the McKenna Foundation and Bob Griffith from the PA Recreation and Parks Society. 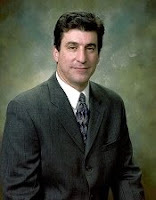 Secretary DiBerardinis said leasing rates have declined from $2,500 per acre to $1,000 or less. He said the $190 million DCNR received from leasing 74,000 acres of state forest land last year hit the peak of the natural gas market. Gov. Rendell proposed to transfer $174 million in these revenues from DCNR's Oil and Gas Lease Fund to help plug the hole in the General Fund budget. Secretary DiBerardinis said, contrary to earlier reports, legislative authority is needed to transfer the funds as part of the state budget bill. Secretary DiBerardinis said he was not happy about having the funding transfer, but he understands the need to help balance the state's budget. DCNR is preparing another lease offering for Marcellus Shale for this year. The Secretary also said the agency has lost significant revenues from leasing timber from state lands due to the collapse of the timber market. Even though the agency is offering the same amount of timber for sale, the revenue from the sales has declined by two-thirds. -- Federal Stimulus: DCNR expects to receive some funding from the federal economic stimulus package, but the amounts are not yet clearly known. The areas of funding may include: support from the U.S. Forest Service, funding for floodplain land easement purchases from N.R.C.S. and funding from the U.S. Corps of Engineers for jointly owned/operated facilities. -- Cuts In Service: DCNR said the public will notice cuts in services at State Parks as a result of budget cuts, but no park closures. Cleaning restrooms, closing some park services and reducing some environmental education programs were examples pointed to by DCNR, but no final decisions have been made yet. -- Heritage Area Grants: DCNR said even though these grants have been zeroed out, they have encouraged Heritage Areas to apply for funding in other remaining DCNR grant programs. -- Lifeguards: DCNR said the decision to not provide lifeguards through its Open Swim Program at many State Parks is not a budget decision, but the result of the lack of success the agency has had in hiring a sufficient number of lifeguards. They said it was an issue faced by every recreation agency across the country. -- User Fees: DCNR expects to propose fee increases and reap the benefits of fees it raised last year to generate an additional $1 million in income for the agency. -- PNDI Permit Reviews: In response to questions, DCNR said it has added staff to the Pennsylvania Natural Diversity Inventory program that identifies threatened and endangered species during permit reviews. -- Hiring Dan Surra: Secretary DiBerardinis said hiring former House member Dan Surra for $95,000 during a time he expects to lay off 68 people has given him a resource he needed and asked for over the last three years to help administer the Pennsylvania Wilds Program that he called one of the most complex recreation, tourism and economic development projects in the country. Secretary DiBerardinis did not submit a written statement for the hearings. DEP is set to receive about $340 million in federal economic stimulus funding: $130 million for energy conservation, efficiency and alternative energy projects, $219 million for drinking water/wastewater system funding (administered by PennVEST), $6 million for cleaning up abandoned underground storage tanks and $1.8 million for conversion to cleaner diesel engines. DEP has already prepared a list of some 500 energy and water infrastructure for funding, in particular those applications it already has that were worthy but not funded before. DEP has advised legislators of the urgent need to reauthorize the $2/ton recycling fee to support the program which is being hurt by a reduction of waste imports and a $15 million diversion of recycling funds to balance this year's budget. DEP is drafting a Green Building Code as promised by Gov. Rendell in his budget address based on LEED and other green building standards. DEP said there is much more work to be done in reducing nutrients flowing to the Chesapeake Bay, highlighting significant progress already made by agriculture and wastewater plants. DEP also said there is a need to do more to make sure the nutrient credit trading program is a success. DEP praised the work of conservation districts, at the same time noting a $500,000 cut in district funding in their budget ($1 million overall) was the result of eliminating "legislative adds" to the budget over the last few years. DEP said there is a need to take the next steps in expanding the Alternative Energy Portfolio Standards and creating a carbon sequestration network to help deal with climate change issues as proposed in legislation by Rep. Vitali (D-Delaware) and Sen. Erickson (R-Delaware). With respect to the expiration of electric rate caps in 2010, DEP said the Governor supports phasing in rate increases which are expected to be on average 25 percent. DEP said there are now about 1.2 million scrap tires to be cleaned up across the state. As a result of efforts over the last 10 years 29 million tires have been cleaned up. DEP has permission to hire 37 more people to speed processing of permits for Marcellus Shale natural gas wells and a new office in Williamsport. Process times have been reduced to an average of 28 days. DEP said there is a limited need to make changes in law to deal with issues raised by Marcellus Shale drilling, but one of which is to give DEP authority in the Ohio River Basin to approve water withdrawals related to drilling. In response to questions about significant permit backlogs in the agency, DEP said they have directed staff to take steps over the next two years to eliminate the backlog. They were also proposing changes to erosion and sedimentation and stormwater management permits that should speed processing, although the proposals so far are opposed by environmental groups as a rollback of federal Clean Water Act requirements. The Senate hearing on DEP's budget is Wednesday. The State Conservation Commission is hosting two “Webinars” to provide an update on the Resource Enhancement and Protection (REAP) farm conservation tax credit program. Hosted by Mary Bender, REAP Administrator, this one hour session will cover the status of the program to date, the use and sale of tax credits which have been awarded to farmers, and plans for the upcoming fiscal year 2009-2010. The webinars will be held March 3 and again March 11 from 2-3:00. To access the site, you will need to create a free “Friends of PSU” account by visiting this website. Once you are logged into the site, you will be able to watch the live presentation. At the end of the presentation, there will be an opportunity to have your questions answered. Please contact Amy Smith (717-787-8821) if you have any questions. Natural Gas Boon: A Feast Or Famine? Federal Stimulus: What Role Will General Assembly Have? Gov. Rendell today announced the investment of more than $21.5 million in 144 Growing Greener projects to reduce pollution from stormwater runoff and farms, treat acid mine drainage, reduce flooding and improve water quality across the commonwealth. The funds are being distributed to non-profit organizations, watershed groups and county and municipal governments to address local and regional water quality issues. High demand has exhausted this year’s fund to reimburse municipal sewage enforcement agencies for part of the cost of on-lot sewage permitting and enforcement, forcing the Department of Environmental Protection to halt payments. The Pennsylvania Sewage Facilities Act, commonly known as Act 537, authorizes DEP to reimburse local government agencies up to 85 percent of the annual local cost incurred in ensuring that new and repaired on-lot systems are properly sited, designed, permitted and inspected. The Allegheny Land Trust today announced BP America recently donated more than $40,000 to Allegheny Land Trust to support conservation projects, including the North Park Greenway project in southwestern Pennsylvania. The land conservation project will enhance the quality of life for people of southwestern Pennsylvania by maintaining and protecting green spaces, biodiversity and the water quality of North Park Lake. “BP is pleased to provide Allegheny Land Trust with funds to be used on the North Park Greenway Project, which will benefit the environment, the residents involved and the citizens of Pennsylvania,” said Shawn Croucher, environmental business manager with Atlantic Richfield, a wholly-owned BP subsidiary. The BP pledge currently represents a significant 8 percent share in the protection of the property, according to Roy Kraynyk, executive director for Allegheny Land Trust. Allegheny Land Trust is in the final phase and working with the local community to secure the remaining funds required and anticipates closing by March 31, 2009. “BP America’s generosity is appreciated and we applaud their innovative approach and commitment to help preserve green spaces and the environment,” Kraynyk said. The BP donations emanate from a creative, cooperative and voluntary Multi-Site Agreement with the Department of Environmental Protection The MSA sets targets and goals that guide the cleanup of petroleum-impacted retail sites and bulk storage facilities. Under the MSA, when certain target goals are exceeded with respect to moving sites and facilities toward cleanup, BP provides donations to environmental initiatives approved by the DEP. Previous donations were used to cleanup an old tire dump, to install solar arrays on Commonwealth of Pennsylvania office buildings, and to fund environmental projects by Boy Scouts councils throughout Pennsylvania. 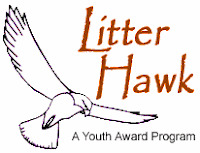 PA CleanWays' Litter Hawk Program nominations are due March 31. The Program honors students who share their ideas about how to get rid of trash and litter in two age groups-- 10 and under and 11 to 18. The Coca-Cola/NRC Recycling Bin Grant Program will be accepting applications starting February 15. The Program supports local community recycling programs by providing bins to selected grant recipients for the collection of beverage container recyclables in public settings. Grants will be provided to a limited number of applicants who can demonstrate how their proposals will lead to sustainable recycling opportunities. The grant program is open to government, civic, school, non-profit groups and for-profit companies. Applications are available only on-line. 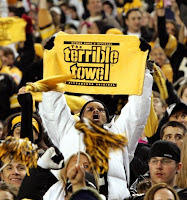 Click here for past Pennsylvania awards. The PA Association of Conservation Districts is now accepting applications for a $500 scholarship from Pennsylvania college juniors or senior majoring in an agricultural or environmental field. Applications are due June 15. Instructions, criteria and the application are available at the PACD website. Department of Conservation and Natural Resources Secretary Michael DiBerardinis announced today that the department is undertaking the next step in its innovative work to reduce the amount of climate-changing greenhouse gases that reach the atmosphere. The department is requesting bids on a package of four contracts that will examine geologic information to determine whether any suitable areas in the state exist to store carbon dioxide underground. PA CleanWays announced today it is now accepting applications for the Sue Wiseman Scholarship, an annual $1,000 scholarship that recognizes youth who have demonstrated leadership and shown exceptional commitment and dedication to reducing litter and illegal dumping in their community. The Sue Wiseman Scholarship is open to Pennsylvania youth, ages 16-21, who have initiated and carried out a personal project that addresses littering, illegal dumping, recycling, proper disposal, beautification, or education. An education project must address one of the other topics listed. Are Drafts Blowing Away Your Money? The Pennsylvania Campaign for Clean Water applauds The Patriot-News' recognition of the economic and environmental benefits of streamside buffers in its editorial "Compromise on runoff offers pragmatic answer for builders" (Dec. 17). But DEP's plan to create an alternate stormwater approval process for new commercial and residential developments is neither a compromise nor a pragmatic answer. Rather, it is a failure of DEP to do its job to protect our rivers and streams. DEP is proposing to eliminate DEP and county conservation district technical review of stormwater and erosion and sediment control plans submitted by the developers' paid engineers. Plans signed and sealed by the developer's engineer and meeting other eligibility requirements will be approved without the review necessary to ensure protection of streams and downstream properties from pollution and flooding. Go to www.PaEnvironmentDigest.com Click here to print Digest. PennVEST Waives DEP Permit Requirements For Feb. 16 Apps. Opinion- Will Pennsylvania Be Smart Or A Sap On Natural Gas? The PA Association of Conservation Districts today announced it is discontinuing the Engineering Assistance Program due to the lack of funding from the Department of Environmental Protection's Growing Greener Watershed Grant Program. Since 2001, the PACD Engineering Assistance Program has provided help to over 500 water quality projects with a total value of $22.2 million in environmental improvement. Design and technical assistance was provided to conservation districts, watershed organizations, Resource Conservation and Development Councils and many others on projects. Susan Fox Marquart, Executive Director of PACD, said there is a chance the program could be re-established if a new Growing Greener Grant is announced by February 20. An application for funding was submitted to DEP one year ago. Gov. Rendell's proposed 2009-10 budget also included a $1 million cut in funding for conservation districts. Contact Susan Fox Marquart for more information by sending email to: susan-marquart@pacd.org. Members of the Pennsylvania Alliance for Restoration and Conservation today called on Gov. Rendell and the General Assembly to invest a portion of the proposed severance fee on drilling for natural gas in Pennsylvania to environmental protection and improvement through the Environmental Stewardship Fund. PARC is an alliance of conservation, parks, and environmental organizations that work to ensure adequate funding for conservation and restoration projects around the state. PARC was instrumental in the passage of the Growing Greener II legislation and ballot initiative. In addition to PennFuture and quoted groups, PARC groups include Audubon Pennsylvania, the Chesapeake Bay Foundation, the Conservation Fund, GreenSpace Alliance, the Nature Conservancy, PennEnvironment, the Pennsylvania Environmental Council, Sierra Club Pennsylvania Chapter, the Pennsylvania Land Trust Association, the Pennsylvania Horticultural Society, the Pennsylvania Parks and Recreation Society, the Trust for Public Land, and local and regional land trusts. Gov. Rendell today proposed a $26.6 billion General Fund budget that includes $1 billion in budget cuts affecting 80 percent of the line items in the budget and reducing line items, other than education, public welfare, corrections and probation and parole, by 8.8 percent. There are no general tax increases, but, as expected, taxes were proposed on smokeless tobacco, cigars, legalizing video poker and production from Marcellus Shale natural gas wells. The Governor is also proposing to continue the phase out of the Capital Stock and Franchise Tax. The Pennsylvania Infrastructure Investment Authority is waiving the requirement to have state and other permits in place for applications submitted to meet the February 16 deadline. The move was made because PennVEST is expecting significant water-related infrastructure funding through the federal stimulus funding now being considered in Congress. However, PennVEST emphasized permits must be reasonably anticipated to be in place in time for project construction to begin in the spring or early summer. The Pennsylvania Resources Council today announced the winners of its annual "Lens on Litter" photo contest. The winning photos were received from all over the state. The objective of the contest is to focus public attention on the problems of litter. Besides being unsightly, litter attracts rodents and insects that carry and spread disease. In addition, farm animals, pets and wildlife often ingest poisonous matter and harmful items. Contest entries were placed into two categories – school children and adults. Judging was conducted at PRC’s Environmental Living Center in Newtown Square, Delaware County. In the “School Children Category,” the winner of the $1,000 first place cash prize was 17-year-old Alexander Rothera of Springfield. 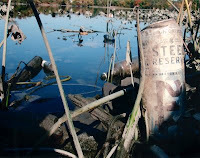 His photo, “Too Much Tin in Tinicum”, was taken at the Tinicun Wildlife Refuge. The photo (above) depicts discarded cans floating in the water at the Refuge. The Center for Climate Strategies and the Pennsylvania Environmental Council today announced the establishment of the Center for Climate Strategies as an independent nonprofit corporation. “This move reflects the great success that CCS has had working to address the issue of climate change in more than twenty states” said Paul King, Chair and Interim President of PEC.